At Melbourne Muscular Therapies, the Initial Consultation/The Chat is of paramount importance. The development of a positive bond and connection between practitioner and client is critical. Melbourne Muscular Therapies is a new age clinic, which has built a culture that embraces mate-ship and positive life-long relationships, which sets the foundation for development of a journey towards healing. Your practitioner will LISTEN to you. Find out your perspective, your goals, your previous journey, and will not make judgements and assumptions. 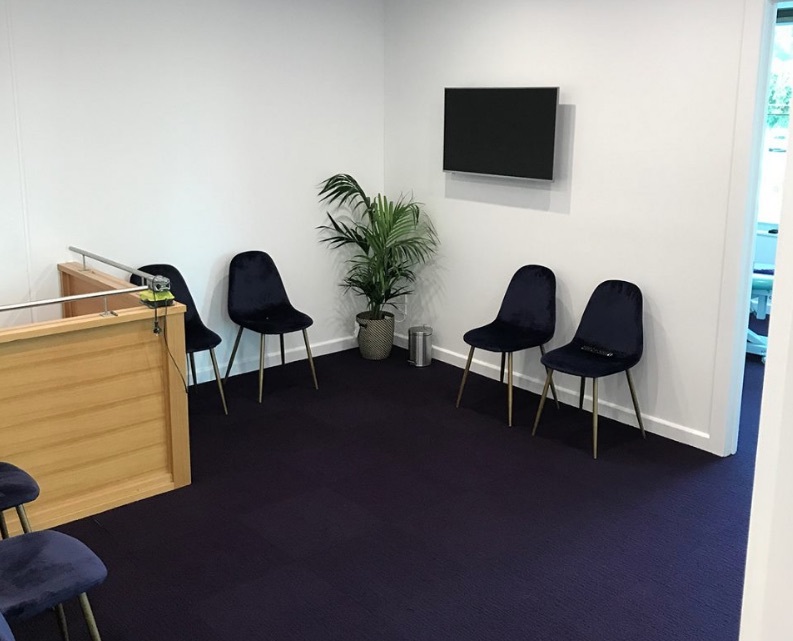 Your initial consultation is a blank canvas, where we get an understanding of your previous journey and develop/tailor a new journey within our systems that is applicable to where you see yourself going. As practitioners, we are adaptable and flexible when it comes to developing your journey. You are the priority, and we are the facilitators. Together, your journey will be completed. Solidified Connective Tissue Release (SCT Release) is an internally developed method and strategy of Deep Tissue Massage | Myofascial Release, which is exclusive to practitioners at Melbourne Muscular Therapies. SCT Release accesses areas of pain within the human body that no other form of treatment can. Treatment is delivered in a way that is deliberate, tactful and patient in order to manipulate and release solidified tension and pain within the body. Developed over the past 20 years, SCT Release has been proven to create flow and activate the innate healing systems of the human body. SCT Release is a deep form of Myofascial Release (Deep Tissue Massage), which targets musculotendinous junctions, bound up fascia, compressed nerves and any solidified muscular tissue. SCT Release eliminates pain, increases flexibility, promotes proper posture and allows the body to return to original function. Poor posture, lack of movement, injury, and improper training techniques, can lead to a build up of painful adhesions within fascia. Highly regarded for its supreme effectiveness, SCT Release can eliminate chronic Lower Back Pain, Hip Pain, Pelvic Pain and Shoulder Pain. “The Unblock” is a term commonly used by practitioners at Melbourne Muscular Therapies. When faced with a new challenge, practitioners see an opportunity to “Unblock”. Each challenge is met with intense focus and presence, which sees practitioners get “in the ZONE”. Once unblocked and pain-free, we commence to re-train movement through biomechanics patterning and functional movement to improve posture for life. From this point, the journey has begun and there will be light at the end of the tunnel. In order to complement “The Unblock”, we must begin to correct posture and movement. Using a series of specific muscular activation techniques and functional movement patterns we are able to re-train movement to correct posture, which will prepare you for the next phase: “The Lift”. Sedentary lifestyle and increased sitting has seen the majority of the population suffer from postural dysfunction and improper activation of stabilizing muscles (Glute function in relation to Lumbopelvic dysfunction and pain). The Bridge will identify areas of weakness, restriction and immobility, and correct these issues by creating awareness of muscular activation, increased mobilization and an overall understanding and consciousness of human movement/function. Clients will be prescribed home exercises and activities, which will aid their progression from a person not in tune with their own physical function, to a person that is conscious of their movement and ready to progress to the next phase; “The Lift”. 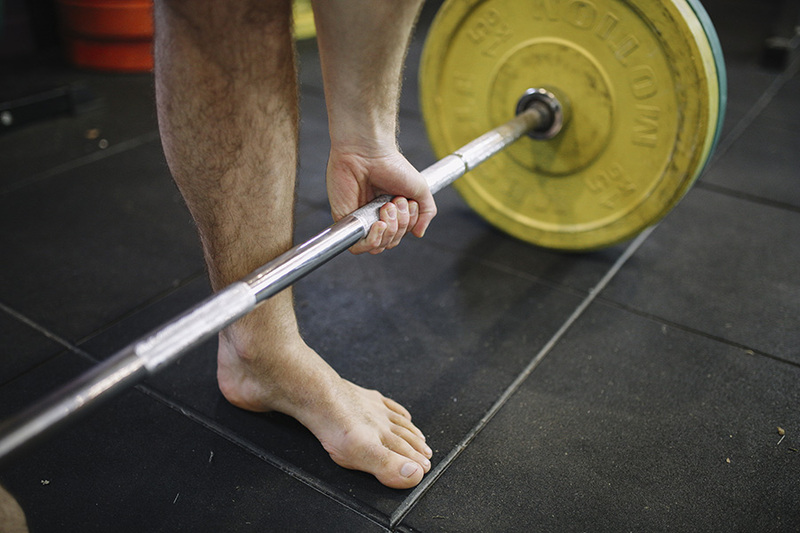 Neuromuscular Facilitated Barefoot Power Training (NMF Power Training) at Melbourne Muscular Therapies is centered around two functional power/strength training lifts, the ‘Foundational Deadlift’ and the ‘Primal Power Squat’. In order for the body to fully recover from injury and pain, muscle recruitment and firing patterns must be corrected. The correct execution and completion of these lifts under heavy load will generate muscle activation and increase stabilizing forces, which become inactive when pain and injury occur. At Melbourne Muscular Therapies, we have engineered our own technique and perspective of these two functional lifts. The barefoot component of our power training is vital, as this builds proprioception and ground reaction force through the feet, which is inhibited through inappropriate footwear. The ‘Foundational Deadlift’ (exclusive to Melbourne Muscular Therapies) is a power movement designed for increasing function of the posterior chain. The ‘Primal Power Squat’ (exclusive to Melbourne Muscular Therapies), is a natural squat that does not cause knee pain and a ‘jamming’ of the Cervical, Thoracic and Lumbar spine. The Primal Power Squat is a Glute and Core dominant squat, which will correct Lumbopelvic hip dysfunction. “The Catch Up” is designed for people looking for regular deep tissue massage maintenance. Practitioners at Melbourne Muscular Therapies are inundated with sports stars, athletes, office workers, and tradesmen looking for a regular “tune up or panel beating”. “The Catch Up” is a broad delivery of our signature SCT Release, however it is targeted to your specific needs on the day. “The Catch Up” was developed to meet the high expectations of the AFL footballers that regularly visit Melbourne Muscular Therapies for a thorough flush out pre and post game. “The Catch Up” is so highly revered by professioinal AFL players, that they pay out of their own pocket on a weekly basis, when there is abundant free treatment readily available at their football club.